Oliver’s areas of research interest include poverty, redistribution and inequality, community-based tourism, public employment programmes, research methodologies, financial management, climate change and project management. Oliver was the Editor in Chief (Founding) of the Journal of Business and Public Dynamics for Development. Giampiccoli A & Mtapuri, O. (2017). Beyond community-based tourism: Towards a new tourism classification system. Gazeta de Antropologia. Vol. 33 (1); 15 – 32 (Spanish and English). Thabethe, N., Mbatha, Z. & Mtapuri, O. (2016). School-Based Programmes as a New Form of the Family for Orphans and Vulnerable Children in the Province of Kwazulu-Natal, South Africa, Journal of Comparative Family Studies, Vol XLV1I (3): 357-368. Aphane, M., Mtapuri, O., Mollel, N., & Burman, C. (2016). Academic Interaction with social partners in the case from the University of Limpopo, Journal of Education, Vol. 66: 140 -184. Mtapuri, O & Moyo, T. (2016). Agro-processing and Community Based Tourism: Prospects and opportunities for South African women entrepreneurs, the youth and SMMEs, African Journal of Hospitality, Tourism and Leisure. Vol. 5 (4); 1 -13. Balkaran, R., Giampiccoli, A & Mtapuri, O. (2016). Globalisation and convergence of food tastes in the case of the South African pizza, African Journal of Hospitality, Tourism and Leisure. Vol. 5 (4); 1 -14. Hatlane MD., Mtapuri, O & Thabethe N., (2015). Community Home-Based Care as a Job Creation Strategy in the Informal Economy: The Case of the Greater Giyani Municipality, South Africa. Journal of Public Administration, Vol. 50 (2): 318-333. Giampiccoli A & Mtapuri O (2015). Between Theory and Practice: A Conceptualization of Community Based Tourism and Community Participation. Loyola Journal of Social Sciences. Vol. XXIX (1), Jan – Jun 2015: 27-52. Giampiccoli A & Mtapuri O (2015). Tourism development in Qatar: towards a diversification strategy beyond the conventional 3 Ss. African Journal of Hospitality, Tourism and Leisure Vol. 4(1). Giampiccoli A & Mtapuri O (2014). Moving Beyond the 3S’s—Sun, Sea, and Sand: An Interpretation of the Tourism Development Strategy Framework for Abu Dhabi, U.A.E. The Arab World Geographer / Le Géographe du monde arabe Vol 17(4) 4: 339-356. Mtapuri O & Mazengwa PJ, (2013), Of Spirituality and Poverty: A Zimbabwean Perspective, Indo-Pacific Journal of Phenomenology. Vol 13(1). Mtapuri O, (2012), A Review of Social Protection Programmes: Lessons from Zimbabwe. The Social Work Practitioner-Researcher. Vol 24(3): 365 – 383. (November 2012). Mtapuri, O. (2017). Poverty and fundamentalism in Africa, In Artwell Nhemachena and Munyaradzi Mawere (Eds), Africa at the Crossroads: Theorising Fundamentalism in the 21 st Century. Langaa Research and Publishing CIG, Bameda pp. 107-129. Mtapuri, O. (2017). 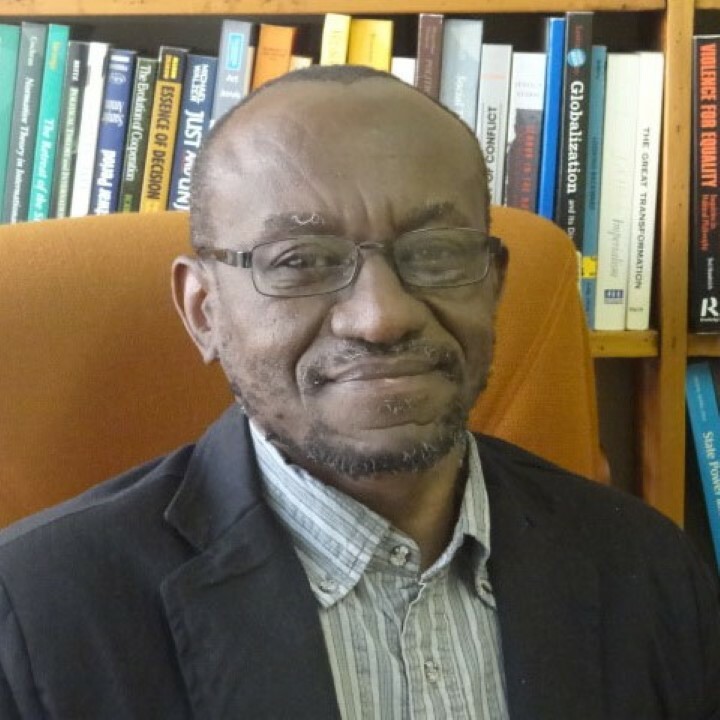 Re-thinking Mining in Embattled Africa: A Calculative Sociological Logic, In Artwell Nhemachena and Tapiwa V. Warikandwa (Eds), Mining Africa: Law, Environment, Society and Politics in Historical and Multidisciplinary Perspective. Langaa Research and Publishing CIG, Bameda pp. 215-236. Warikandwa, T.V., Nhemachena, A. & Mtapuri, O. (2017). Transnational Land Grabs and Restitution in an Age of the (De) Militarised New Scramble for Africa. : A Pan African Socio-Legal Perspective. Langaa Research and Publishing CIG, Bameda. Pp. 553.ISBN: 978-9956-762-59-0. Mtapuri O, Thabethe N & Roesing K. (Eds) (2014). Community Voices on Climate Change. Durban: eThekwini Municipality. ISBN: 978-0-620-60205-1. Mtapuri, O (2008), Wither Dialogue, Wither Zimbabwe, South African Labour Bulletin. Vol. 32, No. 1 March/April 2008. pp. 50 – 61. Mtapuri, O, (2001) Working Conditions, Productivity: Training of private trainers. For International Labour Organisation (ILO) – Improve Your Business and Business Environment and Managing People, Presented at seminar on 5 – 16 February, 2001, Harare, Zimbabwe. Mtapuri, O (2010), (Ed) Selected Papers: Management for Development, Turfloop Graduate School of Leadership, University of Limpopo Press, Sovenga.